Anyone who's read my Shadow Born series knows that I've done considerable research into contemporary urban myths and conspiracy theories. In Shadow Born, I explored the Philadelphia Experiment, Hypnotically Programmed Assassins, and a government cover-up of the true nature of Dark Matter. In book II, I delved deeper into Gabriel's past and a genetic engineering experiment the government used to create the so-called Shadow Warriors. I also examined aspects of conspiracy theories regarding Deep Underground Military Bunkers (D.U.M.B.s), Planet X (also known as Nibiru, or in Shadow Rising, Niburu) and the secret High Speed Underground Transcontinental Transit System that supposedly connects various Top Secret government facilities scattered throughout the U.S.A. In Shadowlord, I furthered the exploration of these subjects and also threw in a smattering of Project Bluebeam (a similar technology know as "Blue Horizon" in Shadowlord) and the good old fashioned conspiracy of U.F.O.s. I also used this research in my novel "Erased" written under the name of Jordan Marshall, which involves a Manchurian Candidate type of assassin and a black-ops team bent on killing the protagonist in order to cover up the conspiracy. I'm not going to go into detail regarding the subject matter of all these different conspiracy theories, but feel free to buy my books (! ), and also peruse the links I will provide below. I'll admit, I've found this subject mater fascinating and I've done a lot more research into these topics than was necessary to complete this series. In doing so, I've also learned that people involved in this subculture run the entire gamut, from NASA scientists and college professors to homeless psychotics who've run out of medication (or in some cases, have had too much). But the process has been highly enjoyable, and though I don't actively engage in this subculture, I'll continue to monitor it and -occasionally, maybe- use it as inspiration for more books. One of the great things about writing in this digital age is that we have the world's knowledge at our fingertips. When I started writing, it took months of research and a ton of money to find information that a writer can now access in a matter of minutes. In those days, word processors didn't exist and -let's be honest- nobody knew how to type. The good books were all checked out of the library, permanently. The only access a writer had to information was a credit card and a lot of time. I like things better now. Above Top Secret - The Internet home of Conspiracy Theories, back-page stories no one else notices, and more. They often have news first, usually hours or days before the stories hit mainstream media.They also have a fairly strict policy about sourcing information, which means this website sets the standard in alternative news and information. Before It's News - Not just news, but all sorts of strange and interesting stories. This website has some great info, but isn't nearly as strictly monitored as ATS. Some links go elsewhere, so exercise caution! The Guardian - Okay, this isn't a conspiracy site, it's real news. It's also the paper that outed the NSA and made an anti-hero of Snowden. For example, today's headline: "Spain colluded in NSA spying on its citizens..." For better or worse, this is what journalism is supposed to be about. Don't look for stories like this in most USA rags. Now, a mysterious illness is threatening not only the Shadowlords but also Gabriel and the other children who were engineered with Shadow D.N.A. 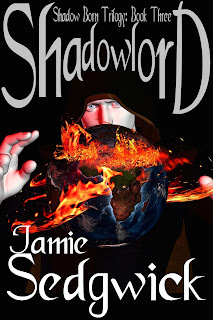 At the same time, Gabriel, Jodi, and Pete have all gone missing, just as the Shadow’s ultimate plan has finally been set in motion. Gabriel and his companions thought they were ready, but nothing could have prepared them for the final conflict. Events are hurtling towards an astonishing finale in the Shadow Born Trilogy. In the end, there will be only one Shadowlord!